This topic contains 3 replies, has 2 voices, and was last updated by Jahova 7 months, 2 weeks ago. 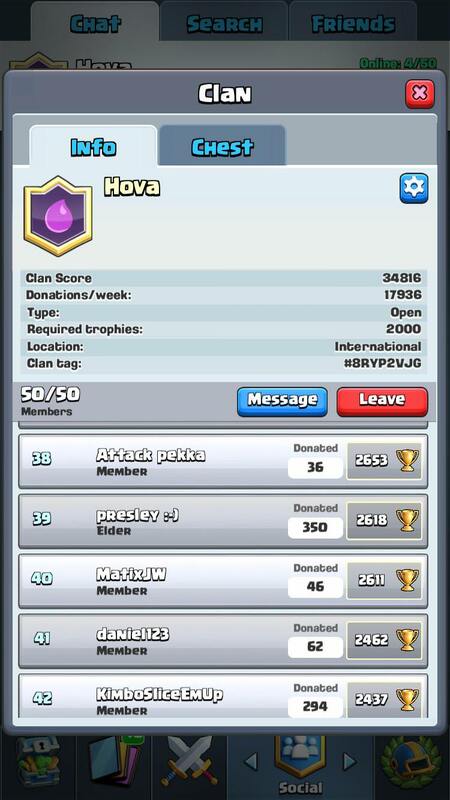 Jahova has his own clan in Clash Royale, and you can join (if there’s room)! Just make sure to follow the rules, or get the boot! 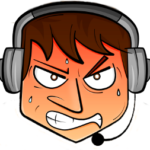 If you cannot get in your war attacks then inform us in the chat, or get the boot! Do not ask for Elder or Co-Leader. This topic was modified 1 year, 3 months ago by MasterOmok. YEAAAAAAAAAAAAAAAAAA BOIIIII! We get the level 10 clan chest every week, only join if you are ready to put in the work. We constantly kick people who don’t contribute. ACVTIVES ONLY! This reply was modified 1 year, 3 months ago by Jahova. Rules have been updated! 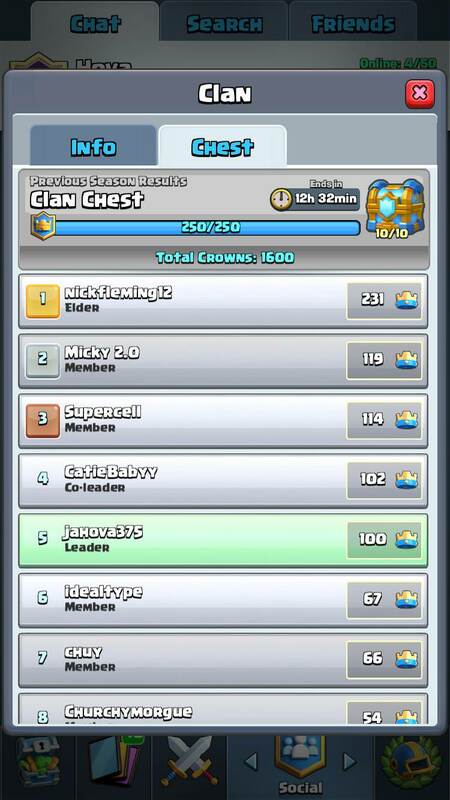 Since clan wars are now the thing, and not the crown chest. Catie said there are a bunch of new features now for Clans, something about trading?